A Chromecast app is now available for iOS users to download from the Apple iTunes App Store. According to the Google blog, the app will run on iPhones and iPads operating iOS 6 or above. The app will automatically scan for your Chromecast or set up new dongle devices through your Wi-Fi - plus it will show compatible apps like Netflix and YouTube. 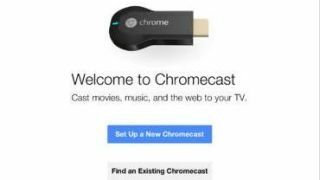 Now that Apple devices can join the party, demand for the Chromecast will probably continue to increase despite the recent hubub over AllCast and Google nixing streaming local content. Cast your attentions this way for more blips.